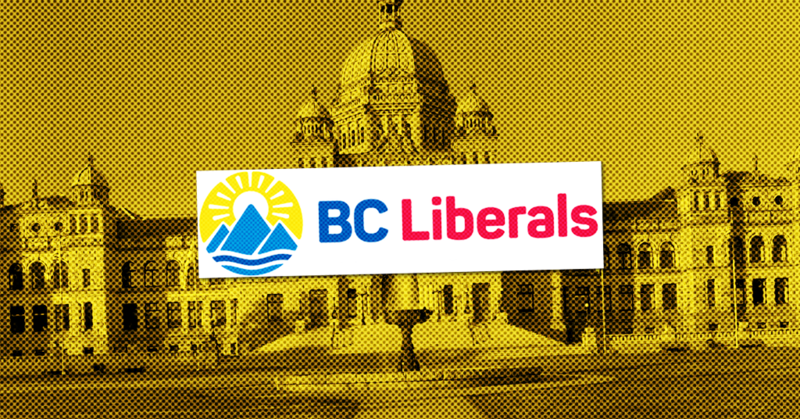 A former United Conservative Party MLA informed the UCP caucus earlier this month that he shared information with authorities about an alleged scheme to launder money into the campaign of Jason Kenney’s so-called “kamikaze” candidate, Jeff Callaway. In a leaked e-mail obtained by PressProgress, former UCP MLA Prab Gill told his old colleagues that a closer look at Callaway’s financial disclosures would reveal “questionable donations” and reminded the UCP caucus that “laundering someone else’s money” is “illegal” in Alberta. In December, Gill leveled explosive accusations in Alberta’s legislature, accusing Callaway’s leadership campaign of taking nearly $40,000 in “suspicious donations” from a secret PAC connected to Jason Kenney to undermine Kenney’s main rival, Brian Jean. In the leaked e-mail obtained by PressProgress, Gill offers another explosive allegation: at least half the money came from “three riding assistants” who worked for federal Conservative MPs. There is currently no information that indicates Gill’s allegations have been corroborated by investigators. One striking pattern that pops out of Callaway’s financial disclosures is that many large donations came from multiple members of the same family. In total, 66% of the $86,000 Callaway’s campaign raised from big donors ($250 or more) can be traced to members of just nine families. A few of the biggest lumps of cash to Callaway’s campaign came from three members of the Davies family ($10,000), three members of the Thompson family ($8,000) and two members of the Park family ($7,500). Three family members of disqualified UCP candidate Hardyal “Happy” Mann also donated $3,000 each to Callaway’s campaign, for a total of $9,000. Mann previously told StarMetro Calgary he acted as a “middle man,” alleging UCP insiders used illegal donations to fund Callaway’s campaign. Mann has offered to sign an affidavit swearing he attended a meeting at Callaway’s house with Kenney and his campaign manager, John Weissenberger. Alberta’s election commissioner has declined commenting on the investigation and there is currently no indication investigators are examining big family donations as the kind of “laundering” scheme Gill’s e-mail describes. Donation records also appear to lend credibility to Gill’s allegation that “three riding assistants gave $20,000” to kickstart the so-called “kamikaze” candidate’s campaign. 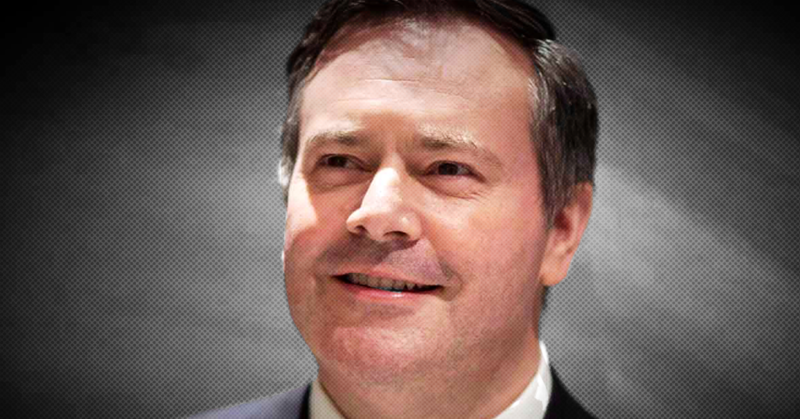 Callaway’s disclosure shows he received donations from one staffer who worked for Conservative MP MP Tom Kmiec as well as two staffers for Conservative MP Stephanie Kusie, who replaced Kenney as MP for Calgary-Midnapore in 2017. Both Kmiec and Kusie have deep roots with anti-abortion activist groups. 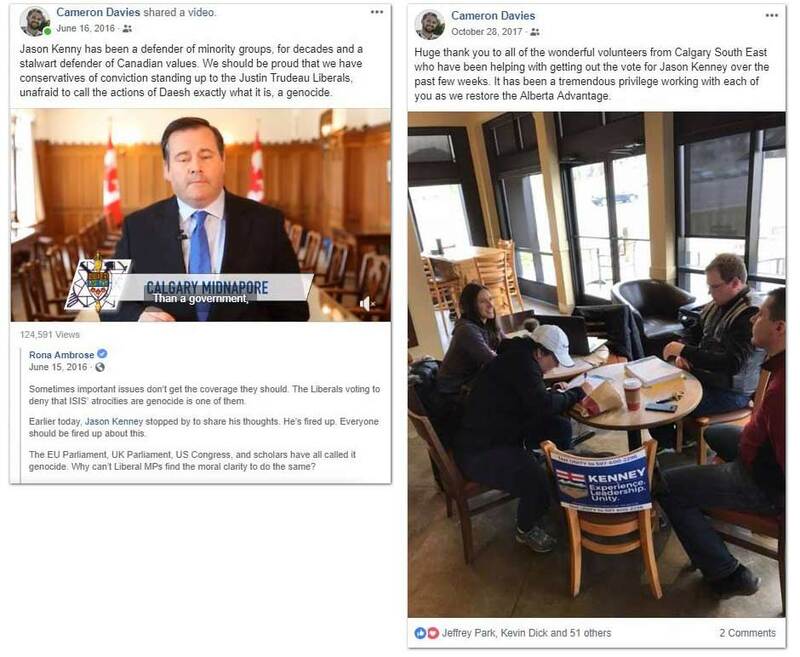 Cameron Davies, an anti-abortion activist with the Wilberforce Project and Alberta Pro-Life, was a constituency assistant for Kusie at the time. Davies and two other family members gave $3,000, $3,000 and $4,000 respectively to Callaway’s campaign. Another Kusie staffer, David Ruiz, gave Callaway’s campaign $4,000. Ruiz was not reachable for comment. Jeffrey Park, another social conservative activist who worked as a constituency assistant for Kmiec, and his wife gave $3,500 each to Callaway’s campaign, for a combined total of $7,000. Not everyone whose name appears on the donation records was fully aware they gave large sums of money to Callaway’s campaign, however. Daryl Scase, a Calgary accountant, was surprised to learn he donated $1,000 to Callaway’s UCP leadership campaign. “I’m just a Joe Q. Public,” Scase told PressProgress, adding he had no involvement whatsoever in the UCP leadership race. Scase’s daughter-in-law Janet, who donated $2,500 to Callaway’s campaign, was not reachable for comment. Other donors also gave large sums of money to Callaway’s campaign despite publicly – and passionately – voicing support for Kenney before and after the leadership race. The McAllisters did not respond to a request for comment from PressProgress. Jeffrey Park, whose family gave Callaway $7,000, attended numerous Kenney events prior to the leadership race, openly supported Kenney’s unity bid and called Kenney one of the “great leaders” of Canadian conservatism. The Office of Alberta’s Election Commissioner has previously stated it does not comment on open investigations. None of the Callaway donors reached in recent weeks by PressProgress indicated investigators had contacted them with questions about their donations.